Not really a good Marvel or Fantastic Four movie, but acceptable. 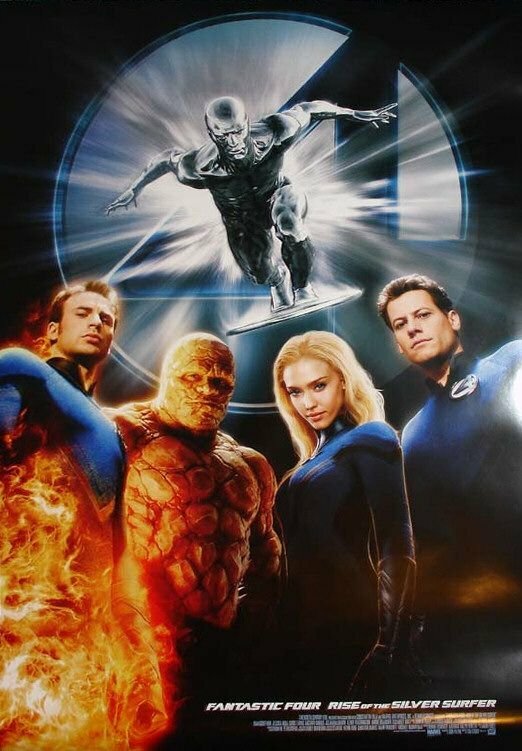 I really liked the first movie - plainly called "Fantastic Four" - but this second one is a bit more weak. In my opinion the focus is too much on the wedding/no wedding between Mr. Fantastic and The Invisible Woman. Maybe if the movie had a bit more plot, the focus would not seem that intense. The whole "the world is going under" theme is quite interesting, but the enormous and kind of unsolved mystery about the Silver Surfer, Galactus and their connection just kills it by with lack of information. The way too brief explanation just becomes lame instead, which is a shame. Acting is average for an action and super hero movie like this. Effects are good but nothing overly fantastic. I like the parts where you see different points around the globe being "drilled" by the surfer's holes. An acceptable super hero movie to watch with your geeky super hero nerdy friends.